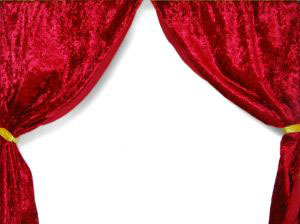 The curtain will be going up on 2013. There’s optimism in the air. Retail sales, especially online, are strong. The housing sector is picking up. And the aftermath of Sandy will be generating plenty of work. Therefore, you are asking Image Marketing Consultants how you can capture this momentum for 2013? We have been warning you about not rushing to introduce too much “new and improved” too quickly. WordPress learned from Facebook’s stumbles to move slowly and carefully in providing users with change. Too much change can overwhelm customers. The organization doesn’t care and isn’t digging around for what customers want. The organization is set in its ways, feeling entitled to the business it has. The organization is out of touch with shifting realities. A useful exercise is monitoring the competition. How much change have they put in play and how does that seem to be working out? If it’s retail, you can observe the traffic. If it’s professional services, you can follow the trade media about new accounts and analyze the tone of its communications. Does the organization sound desperate? That context provides you insight about what you might change and what to put on hold, for now. Change always represents risk. But not changing, of course, is equally risky. Kate Sirignano, founder of Image Marketing Consultants, invites you to a complimentary consultation for marketing, partnerships, public relations, special events, and social media kate@imagemarketingconsultants.com, 203-404-4868.